Primary for Governor Lifted Ad Spending in Md. A Democratic primary race between two well-funded candidates propelled Maryland to the sixth-highest amount of spending on political television ads in state races in the 2014 election cycle through Sept. 8, according to a state-by-state survey by the Center for Public Integrity. Maryland also was noteworthy in the survey because about $14.1 million spent on state races came from funds raised by candidates or public campaign financing, instead of out-of-state interest groups. The survey found only much larger states like Pennsylvania, Texas, Florida, Illinois and New York spent more on political television advertising up until Sept. 8. Maryland was ahead of Arizona, where $12.4 million was spent on television advertising, and Michigan, where $9.6 million was spent. 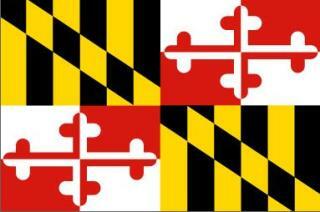 Maryland also was ahead of Massachusetts, which spent $7.1 million on political television advertising. Maryland came in third for spending on ads per voter with $3.48, behind Pennsylvania, where $3.99 per voter was spent, and Rhode Island, where $7.77 was spent. Lt. Gov. Anthony Brown, a Democrat, led the Maryland governor's race in television ad buys, spending an estimated $5.4 million. His primary opponent, Attorney General Doug Gansler spent about $4.4 million. Del. Heather Mizeur, who used public campaign funds, spent an estimated $1.3 million. Brown won the June 24 primary with 51 percent of the vote. Brown and Gansler did most of the political fundraising in the Maryland primary. Gansler, who ran unopposed for his second term as attorney general, long held a fundraising edge. But Brown eventually surpassed Gansler with wide support from the state's political establishment and a fundraising event in Potomac with former President Bill Clinton that netted more than $1 million. Republican Larry Hogan, who used public campaign funds as Mizeur did, spent an estimated $1.1 million on TV ads. Hogan won a four-way primary with 43 percent of the vote. About $12.1 million was spent on ads in the Maryland governor's race through the period covered by the survey. The survey examined costs of placing ads on television, not their production, in a state that includes large media markets in both the Baltimore and Washington areas. About $1.9 million was spent in the Democratic primary for attorney general. State Sen. Brian Frosh spent about $1.2 million on TV ads, compared to $760,500 by Del. Jon Cardin.